Whilst researching my next adventure, I found myself browsing through images of the mountainous and snow shielded landscapes of the New Zealand countryside and the endless adventure and outdoor activities its notorious for. I had planned to adventure to the South Island of New Zealand later this year with intentions of completing the Milford Sound Track. 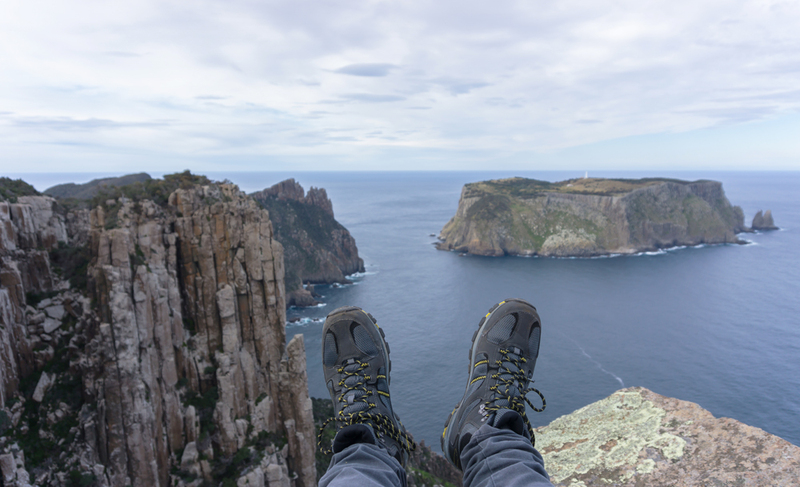 In a spontaneous decision to experience a trek with a similar feel, and also one that was a little closer to home, I never expected to stumble upon scenery quite so rugged when I eventually travelled to Tasmania – more specifically, The Three Capes Track on the Tasman Peninsula. Although the South Island of New Zealand still greatly appealed to me, a new and exciting adventure offered in Tasmania presented itself – The Three Capes Track. As this trek was so new, offering wild landscapes, uncanny similarities to the New Zealand wilderness and backed by an overwhelming sense of popularity from previous hikers, the decision was an easy one to book the hike and experience it for ourselves. The Three Capes Track is a three night – four day, self catered trek spanning forty-six kilometres. The trail winds its way seemingly through the most rugged and wild landscapes, a majority of it facing directly outward to the Southern Ocean – Very little lies between you and Antarctica. The track officially opened in December 2015 and is a once in a lifetime experience. The track is so well defined and maintained, with a majority of the track consisting of boardwalk trails. It weaves its way along exhilarating cliff tops and dolerite cliff edges in what is some of the most breathtaking scenery in Australia, if not, the world. Depending on the season, you can expect to experience a huge array of weather conditions making the trek enjoyable, challenging and virtually free of any other hikers. Only forty-eight hikers are permitted to walk each section of the track each day, with compulsory pit stops at very well appointed eco-cabins required by the end of each day. The cabins are brand new, extremely comfortable and so well designed that it enables visitors to really concentrate on enjoying the experience and taking in the landscapes, rather than having to worry about pitching a tent each night. Each bed is equipped with a very comfortable mattress and is limited to four to eight sleepers in each cabin dependant on the number of hikers for each day. For example, on the day I began hiking, we only had eleven hikers on our drop off point, so we each had a cabin to ourselves on every night of the trek. The experience of completing the Three Capes Track is very good mix of a self catered hike, and a fully catered hike – The perfect blend for anyone searching for an all around, first trekking experience. The Three Capes Track is priced at $495 for adults and $395 for children and includes a fantastic powerboat tour around Port Arthur Bay with Penicott Wilderness Adventures. Additionally, a two-year pass to the Port Arthur Historic site is included in the overall fee. When you take into consideration that this is also covering the cost of accommodation in a fantastic surrounding environment, the cost of The Three Capes Trek is completely justified. Special deals run throughout winter on pricing, so be sure to keep and eye out for these deals during the colder winter months in Australia. Check out the Three Capes Track website here. Day one is spent enjoying a boat trip around the bay and then beginning the trek at Denman’s Cove. 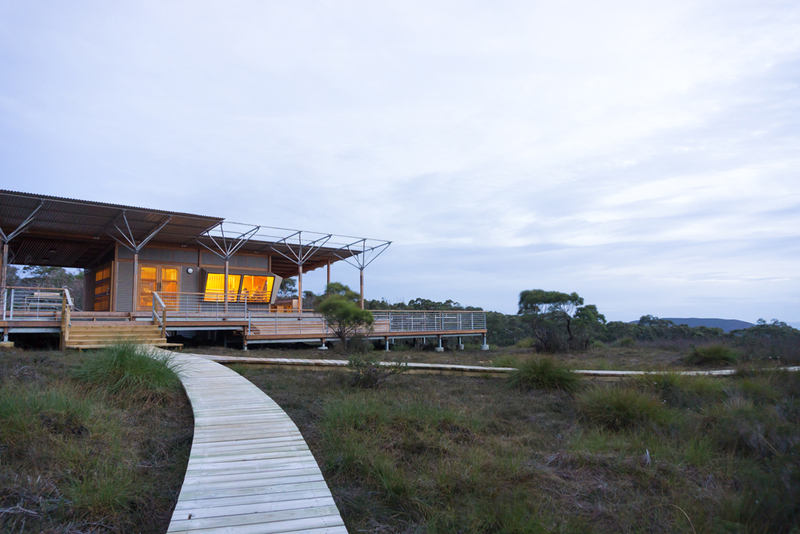 A short four-kilometre starting hike is all that’s required on the first day before arriving at your first eco-cabin for the night – Surveyors Hut, overlooking Cape Raoul. Your friendly Parks and Wildlife host will briefly outline your next day and what can be expected for the remainder of the trek. What you do with the remaining time spent at each hut is completely up to you. Day two is a longer eleven-kilometre hike and does include a steep, yet brief ascent up Arthur’s Peak and Crescents Mountain and then gradually into your stop at Munro’s Hut for the night. Munro’s Hut has a fantastic decked area that overlooks the final day four stretch of coastline. If you’re like me and enjoy getting up to watch sunrise, the deck at Munro’s is the perfect setting to start the day. Day three is one of the highlights, where the longest hike throughout the four days is required, however your packs are left at Munro’s Hut, allowing you to rest the back and shoulders. An unbelievable and jaw dropping seventeen kilometre cliff side trail is the forefront of this part of the hike. You’ll snake your way through low-lying heathlands and wide open, baron panoramas hugging the largest dolerite cliff sides in the Southern Hemisphere. Centimetres separate you and the churning Southern Ocean below. 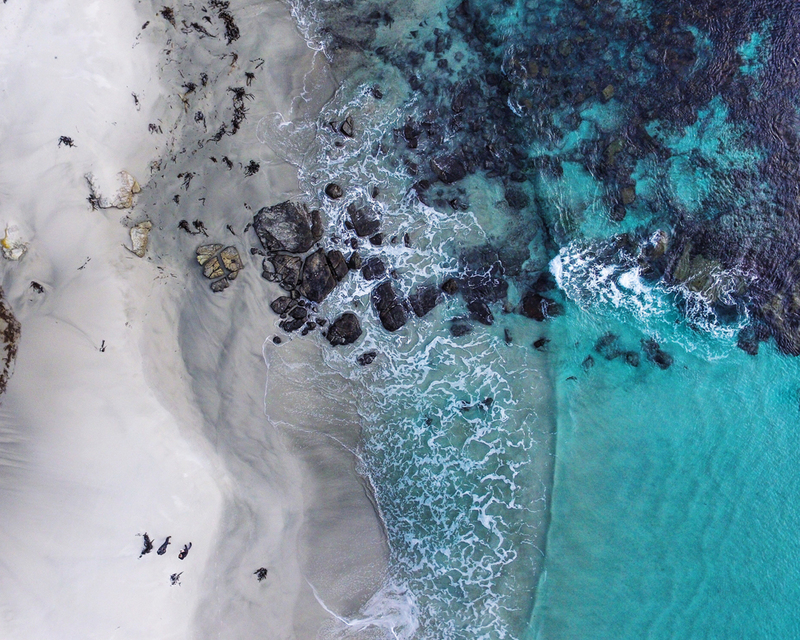 The conclusion of this stretch of coastline brings you to one of the natural attractions highlighted by Tasman Parks and Wildlife – The Blade, Cape Pillar. 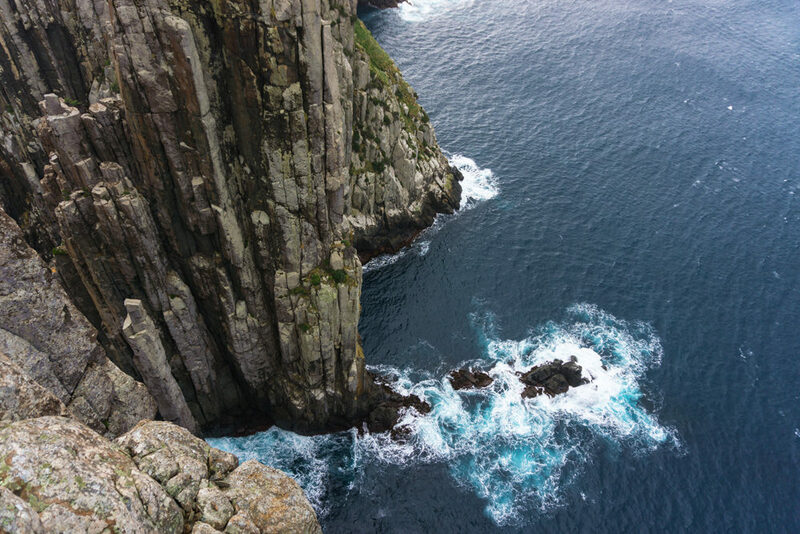 The Blade is a very narrow, dolerite stone-cladded walkway that overlooks Tasman Island. This part of the trek is not for the faint hearted – even on a good day, this section of the track is extremely dangerous and climbing to the end should be exercised with great caution – An unbelievable, and nerve-wracking experience, all in one. After returning from The Blade, you’ll stop back in at Munro’s Hut to collect your bags, and finish the remaining few kilometres of day three before arriving at your last nights stay – Retakunna Hut. Day four begins with an early start, dependant on your finish time that you indicated when booking the trek – either 2pm or 4pm. A fourteen-kilometre, day four hike leads you up Mount Fortescue, through giant, dense fern forests and then along the mighty dolerite cliff-sides to Cape Hauy, the final cape of the journey. 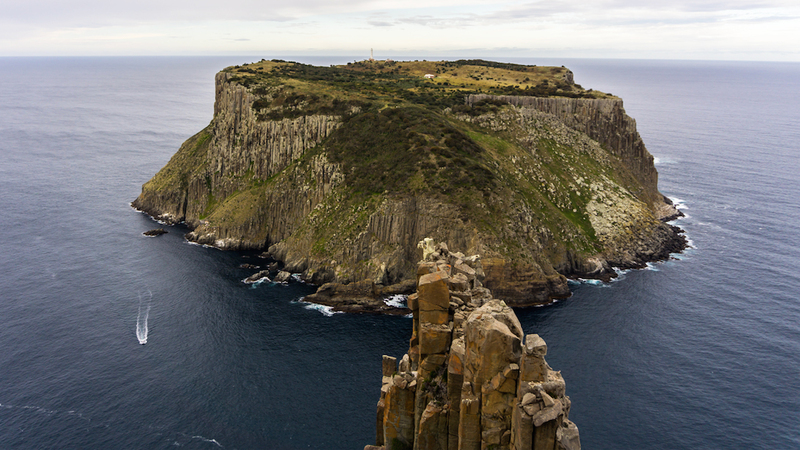 Cape Hauy lookout is the only part of the trek that has any form of protective barrier throughout the entire four days. The view from the final cape is indescribable. You’ll find yourself surrounded by 300 metre tall dolerite cliffs that seem to plunge endlessly into the deep blue below. We experienced and incredible act of nature – and in true Tasmanian fashion, a spontaneous storm raced over Cape Hauy just as we had arrived. It made for quite a spectacular experience. 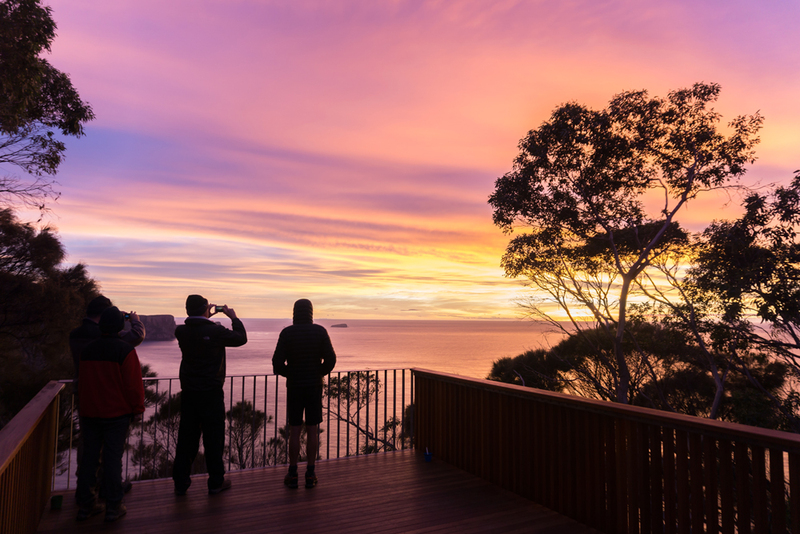 By day four, your legs and feet are aching but it’s only a short, one-hour hike to the end of the trail – Fortescue Bay. 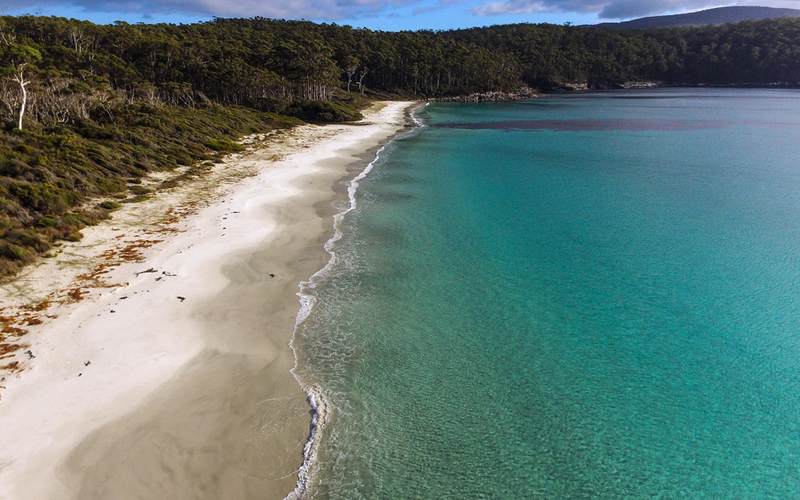 Fortescue Bay is an idyllic white sand beach boasting pristine blue water and a huge variety of wildlife. I was fortunate enough to witness a seal frolicking in the shallows chasing a school of baitfish. You can check out the footage in my YouTube Vlog here, recorded whilst on the trip. You will enjoy a brief rest before your bus arrives to take you back to the Port Arthur historic site. Your feet and legs completely surrender by this point and the delayed onset of muscle soreness is sure to kick in over the following days. With the aches and pains cast aside, The Three Capes Track is sure to etch the most fond and exhilarating memories into your mind. 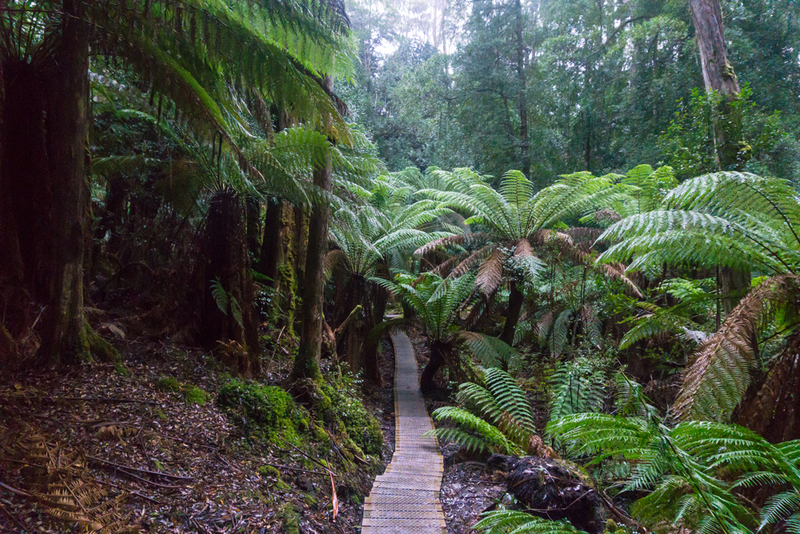 This trail is a once in a lifetime, inspiring and truly magnificent hike through some of the very best Australian landscapes. The trail has been designed in such a way that it makes you feel so insignificant to the surrounding wilderness – Quite thought provoking, humbling and simply beautiful. The views are undoubtedly impressive – the whole experience, undeniably unforgettable. The Three Capes Track has been a true highlight in my years of travel. Now I’m jel, tried to book this for new year and it was already fully booked! That sunrise looked incredible. And all those views… heaven! Oh damn! That’s such a shame! We booked for early May and it was honestly deserted! haha We even got entire dorms to ourselves because the numbers were so low! Some days we didn’t even encounter any other hikers! Such an incredible hike! Would totally recommend going April/May!